Using a chair for support, students enjoy stretches that are as deep and transformative as the moves students explore on the mat. This weekly class is suitable for all bodies, whether you're unable to get to the floor or spend many hours a week sitting at a desk. Wherever you are, we will get the body moving. The result? Greater freedom in the body, a calmer mind and improved overall health and well-being. 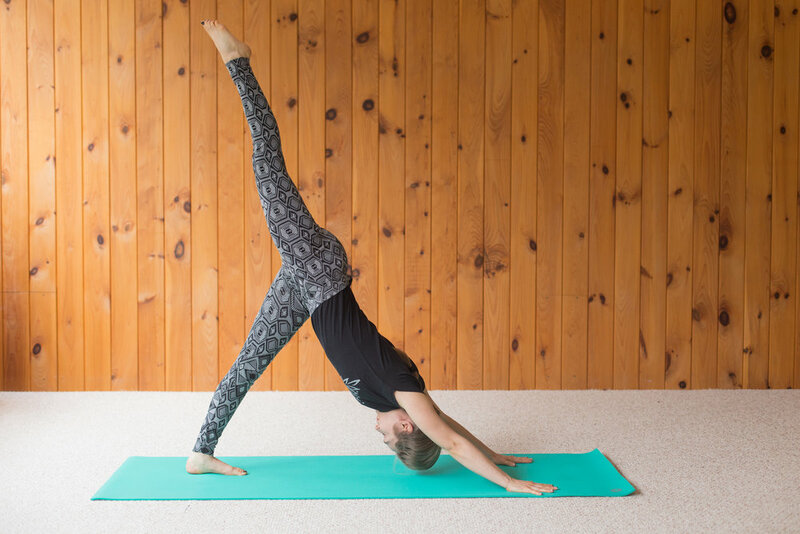 Designed for those with a full life who still need to be able to catch a yoga class, this 60-minute mixed-level class relaxes, rejuvenates and resets the system. Appropriate for all able bodies, Flow-n-Go returns you to the world with newfound calm, energy, focus and perspective. All levels are welcome at this class which provides options for a gentle to more advanced practice. Students can go at a pace that is perfect for them, choosing the level of challenge appropriate for their individual needs. Classes include flowing sequences, sustained postures, deep relaxation, breathing and meditation. Connect with each other and your babies through breath awareness, guided movement, and relaxation-in-action, in an atmosphere of support and play. Moms with babies who are not yet crawling are welcome. No prior yoga experience is required. This hour-long class is offered in Bellefonte on select Saturdays at 11:30 am. Send an email if you'd like to join the next series.